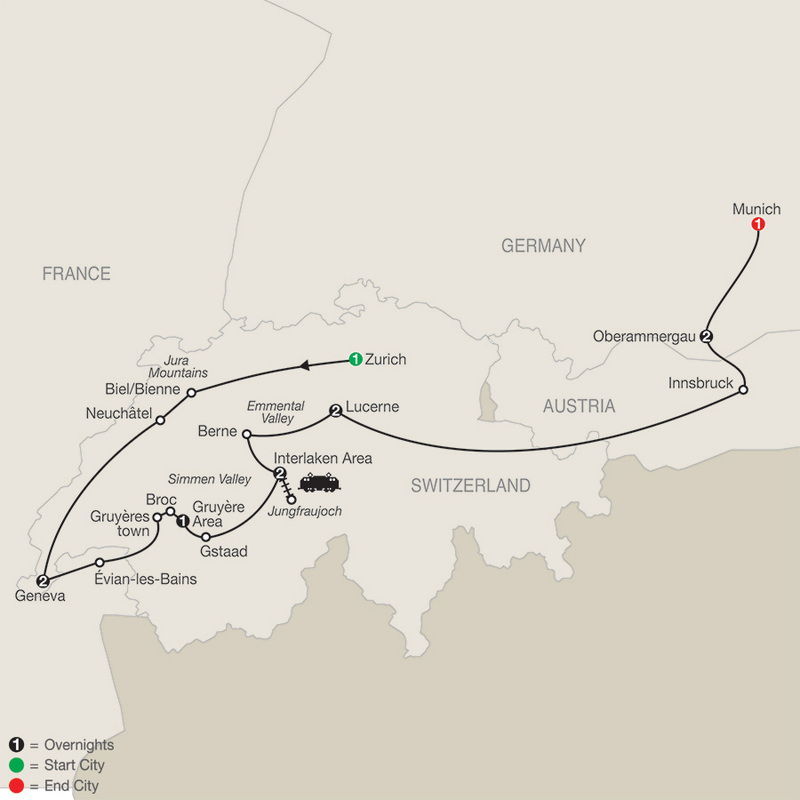 Our Globus Oberammergau vacations have been uniquely designed to include the Passion Play experience. On these special vacations, guests enjoy preferred seating at the Passion Play, accommodations in the heart of Oberammergau, and a dedicated onsite office to help guests make the most of their stay in this charming city. When you think of a vacation to Germany, what comes to mind? Perhaps it’s visiting fairytale castles and medieval towns. Perhaps it’s seeing the Bavarian Alps and beautiful countryside. Perhaps it’s savoring German food and beer. If so, all of this and more are included on this ...Read More. Germany is a country filled with spectacular scenery, medieval towns, fairytale castles, a fascinating history, and world-class beer. 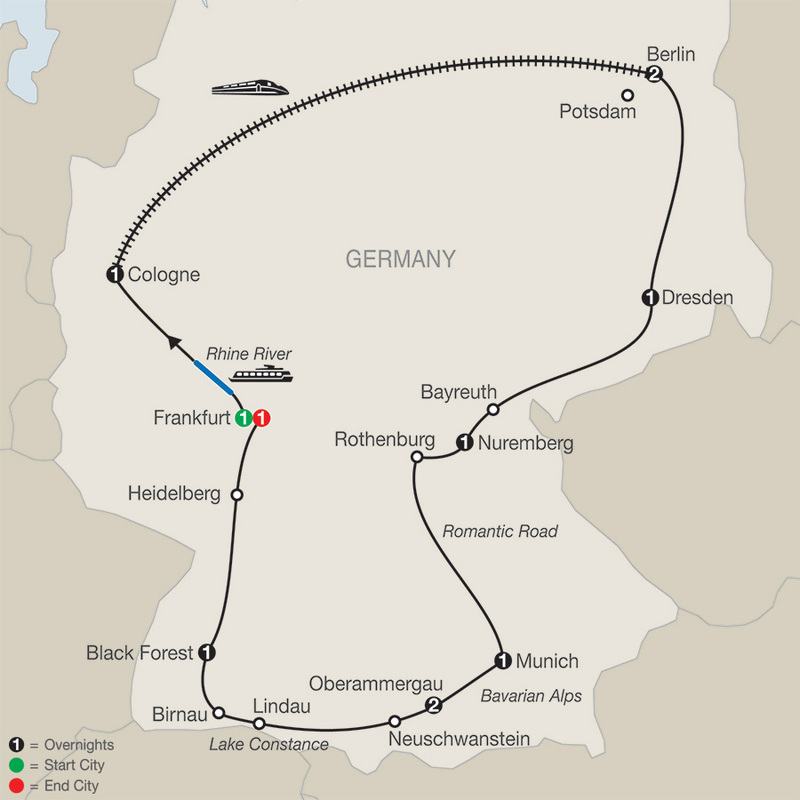 On this Germany tour, see Germany's highlights and visit its most famous cities, medieval towns, and scenic areas. Your vacation begins and ends ...Read More. On this Top of Switzerland tour, witness some of Switzerland's most amazing scenery and learn about traditional and current Swiss culture with overnights in Zurich, Interlaken, and Lucerne. Plus, you'll travel to Germany and overnight in Munich and the charming Bavarian town of ...Read More. On this Spectacular Switzerland tour, you'll enjoy Switzerland's stunning mountains and lakes—with overnights in Zurich, Geneva, the Gruyères area, the Interlaken area, and Lucerne. 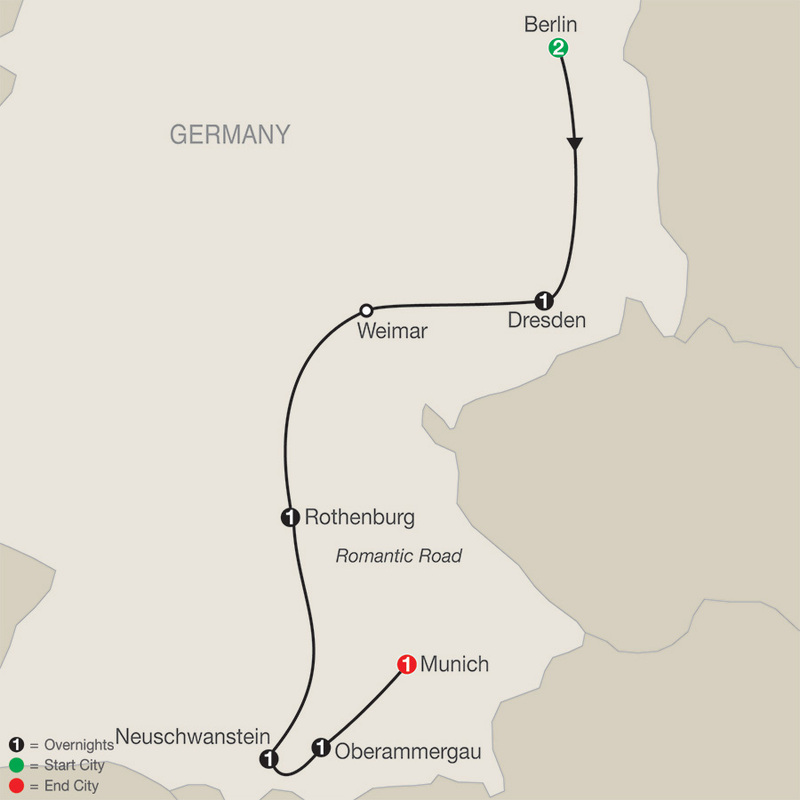 Plus, you’ll overnight in Oberammergau and Munich in Germany. The highlight of this tour is the ...Read More. 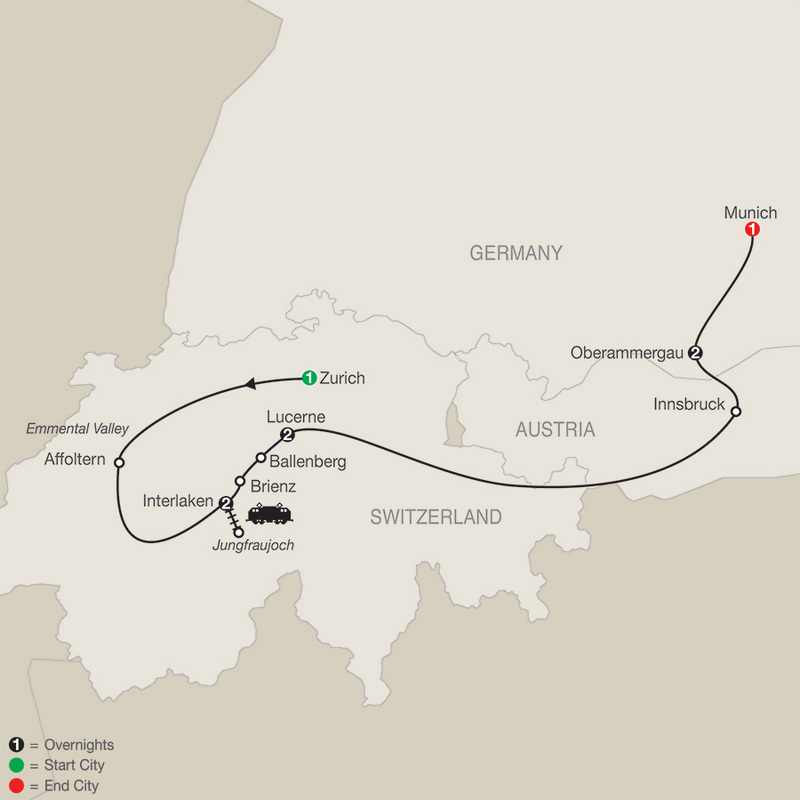 Looking to travel to Oberammergau on one of our faith-based tours? Our 4 faith-based vacations have been uniquely designed to include the Passion Play experience, as well as the spiritual and cultural balance you have come to expect from Globus and Cosmos Religious Travel. Visit the Globus Faith site to view these tours and learn more.